Ameztoi Rubentis Txakolina Rosado 2011 is bottle 1 in our series. To see the rest, click here: Mixed Case on Small Bites. 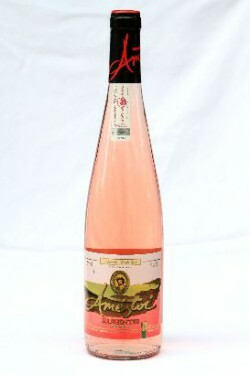 Ameztoi Rubentis Txakolina Rosado 2011: Notes of strawberry and watermelon with a slight fizz. Goes with: Chinese food, tapas. Region: País Vasco, the Basque region of Spain. Price: $20. Why Kim chose it: There is nothing better in hot summer than three of the most crisp Roses in the universe, Sancerre, Txakolina and Zweigelt Rose. To see more recommendations, tasting notes and pairings, plus bonus videos, go to http://food.lohudblogs.com/tag/mixed-case.